Eyes are important indicators of overall health, and comprehensive eye care goes beyond a prescription for glasses or contact lenses. At San Diego Eye Professionals, we take the time to get to know you, your eye care history, and your vision needs. Dr. Sally S. Lee provides the expert care, advice, options, and follow up you need whether you are a new patient or an existing one. The sun can cause sunburn, aging, and cancer - to your eyes! 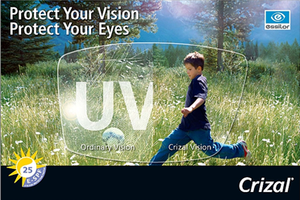 ClearVision® lets you find a sunglass style in every shape, size and color imaginable. Enjoy feeling almost like you’re not wearing any contacts at all. Try ACUVUE®OASYS® Brand Contact Lenses. See Product Guide. 1-DAY ACUVUE® MOIST® Brand Contact Lenses. See Product Guide.